Here is our new list of classes and clubs that will run for Sep – Dec at which time another list will be available. We have a great list of classes so don’t miss out. We are starting the season with a “Class Launch” in both stores. Surrey will have their class launch on Thus Sep 4 at 10:00am and Chilliwack will have a class launch on Thurs Sep 4 at 6:30pm during Cake Therapy. Join us as we go over all the great classes and clubs we are running. It’s a good time to see the samples, ask questions and register for classes. Sign up for classes by Sat Sep 6 at 5:00pm and receive 10% off classes, clubs excluded. This is a lecture/demo trunk show on the MC15000, by Liz Thompson, the Janome educator. We will inspire you with just some of the sewing, quilting and embroidery possibilities. We will also introduce the new Janome MC15000 V2 as well as the NEW AcuDesign app. We will show you the new feet & accessories available to this machine. Sign up now as this will be a fun night. 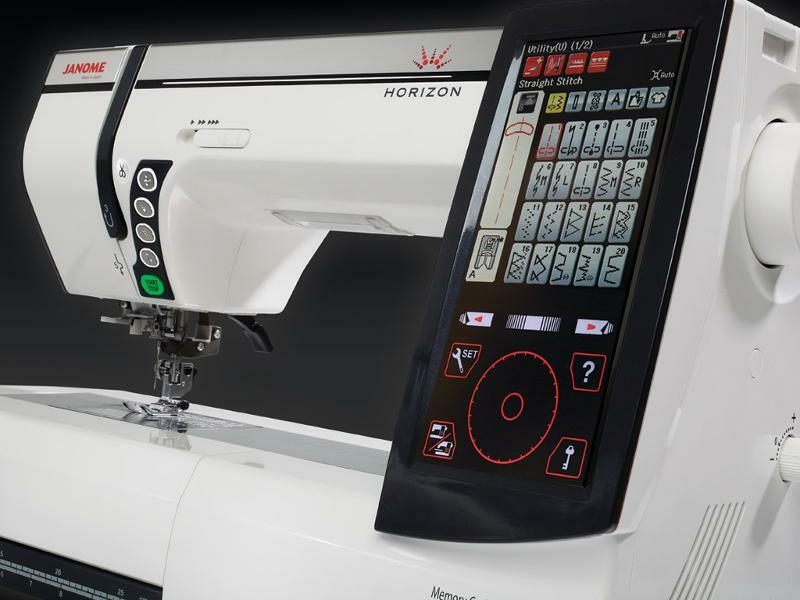 You do not need to own this machine to enjoy this, there will be ideas to inspire any sewer, quilter or embroiderer. Stack’n’Whack: Learn the Stack ‘n’ Whack technique to make a wonderful pinwheel quilt that looks like a kaleidoscope. Only two fabrics required; a novelty print or any large/medium print, florals can be beautiful, and a background colour, not the background of the print. 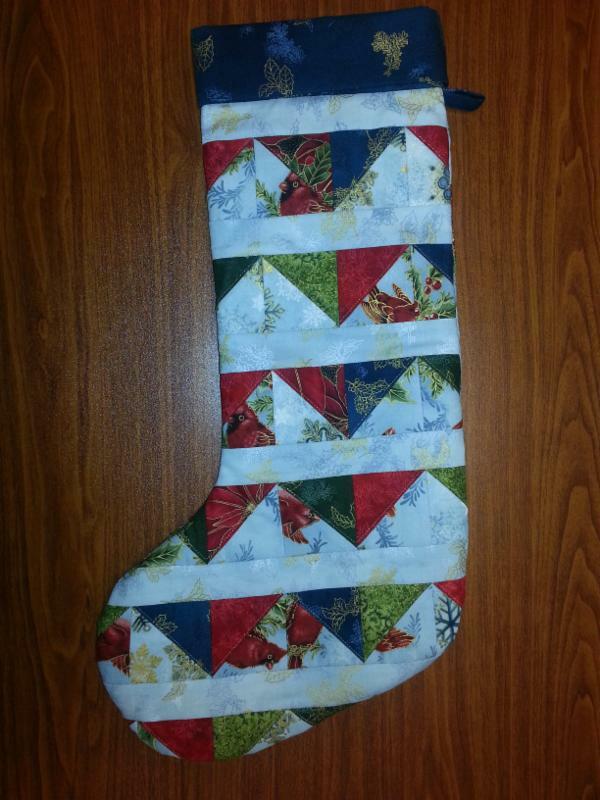 Quick and Easy Table Runner: Need a quick Christmas gift for family. 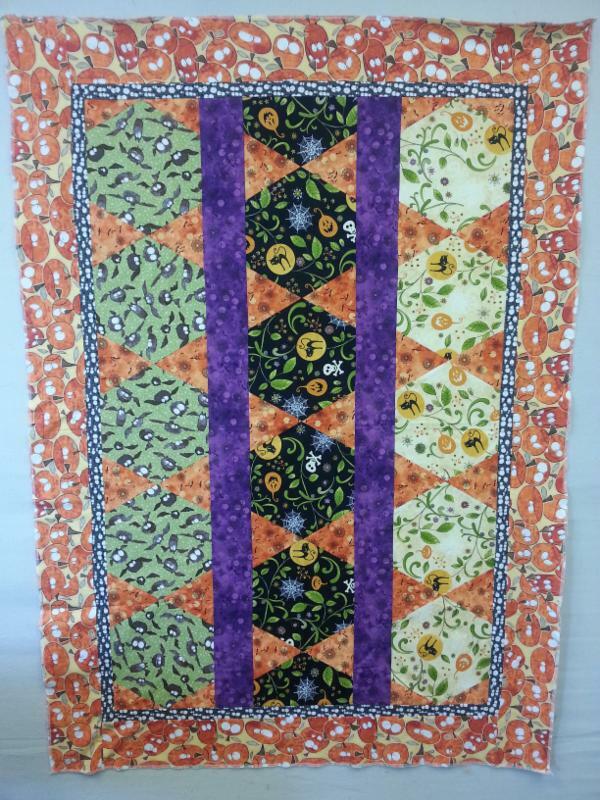 This table runner can be made up quickly with only 3 fabrics. You can add as many chevrons as you like to make it fit any table. This is so much fun you won’t want to stop. Stippled Table Topper :Do you want to learn how to stipple? Come learn stippling from a new perspective. Come find out how to set up your machine to work for you and see what great work you can create. We will make a small table topper as practice. Beauty Found: This door or wall hanging is by Hoop Sisters. 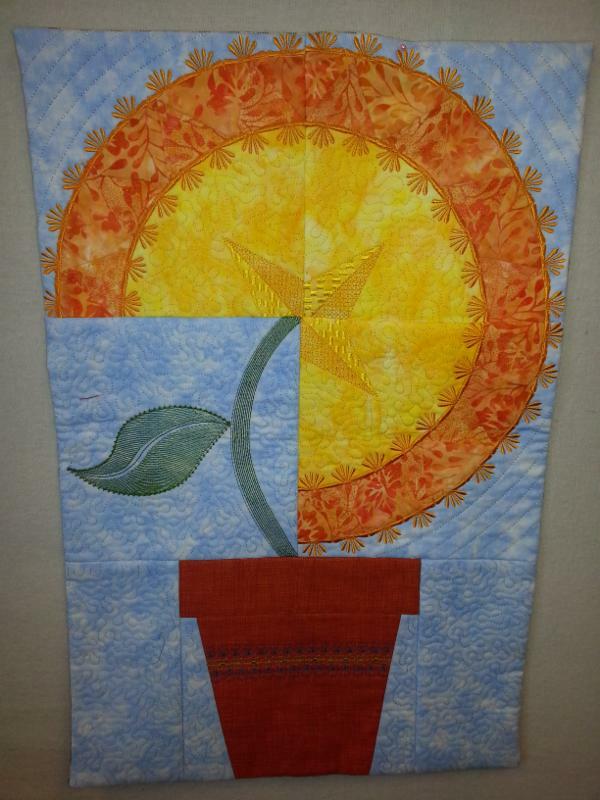 The sunflower is sewn and quilted all in your embroidery hoop. This sunflower is easy, plus it needs no watering. Hallowe’en Hexagon: Another fabulous Marti pattern using big hexagons. This cutie quilt goes together very quickly. Make it out of any print but if you choose Halloween it will help make your Hallowe’en décor Boootiful. You will need template set “H” or the hexagon ruler #8060. 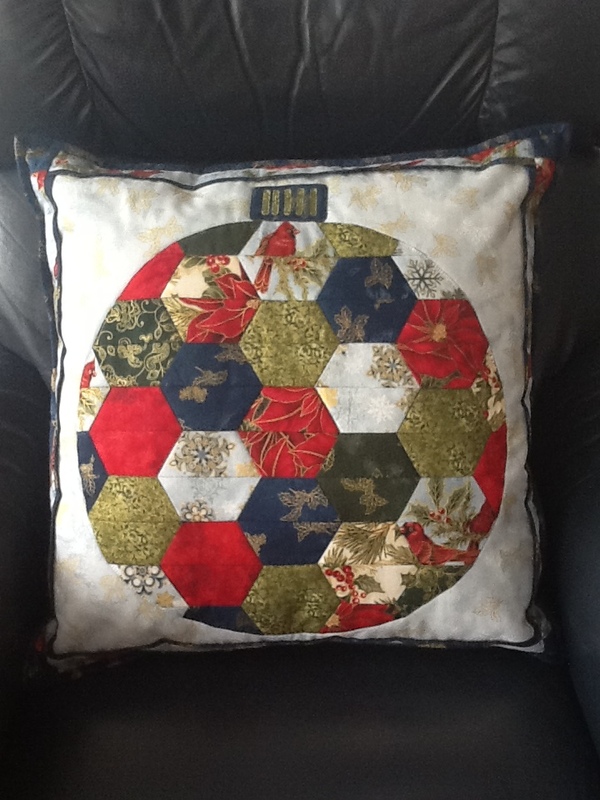 Hexagon Christmas Ornament Pillow: : Join Christmas Club for one session to make this beautiful Christmas designed pillow using the new Modern Holiday Christmas Sewing Projects book by Amanda Murphy as a guide. 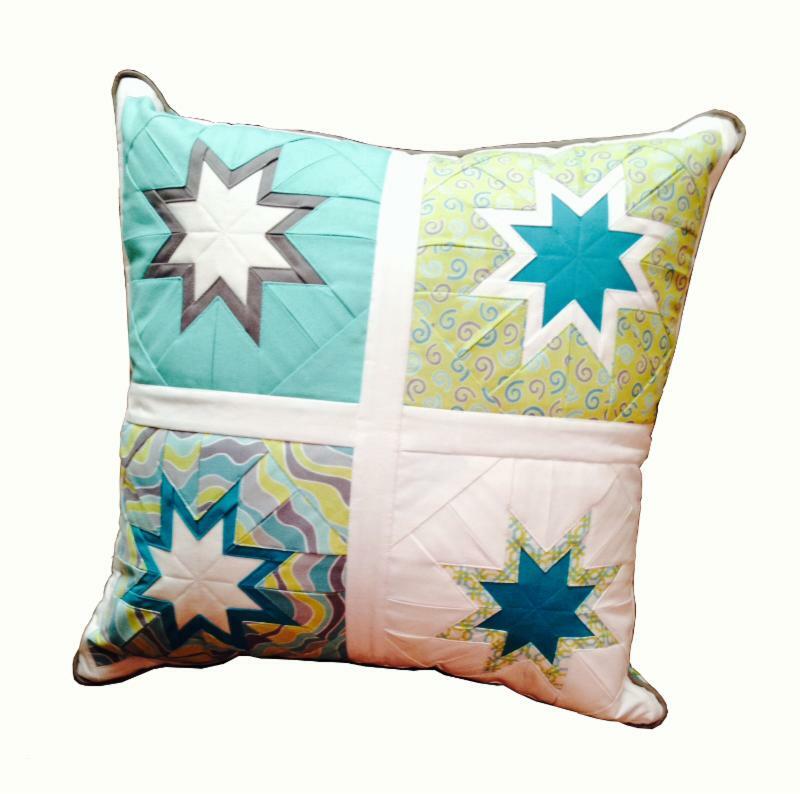 In class you will learn how to make a pillow cover that has a button closure so it can be changed with the seasons. Hearts All Round: Applique often leaves people going “How do I do that”. Well, in this class learn 4 methods of applique, three hand and one machine. You will be making four small samples that you may later put into a little wall-hanging. Supplies are minimal. This class is two sessions, the first is strictly hand work and the second uses your machine. Come and enjoy learning these fun technique and you never know, you might just become an “Applique Addict” like me. 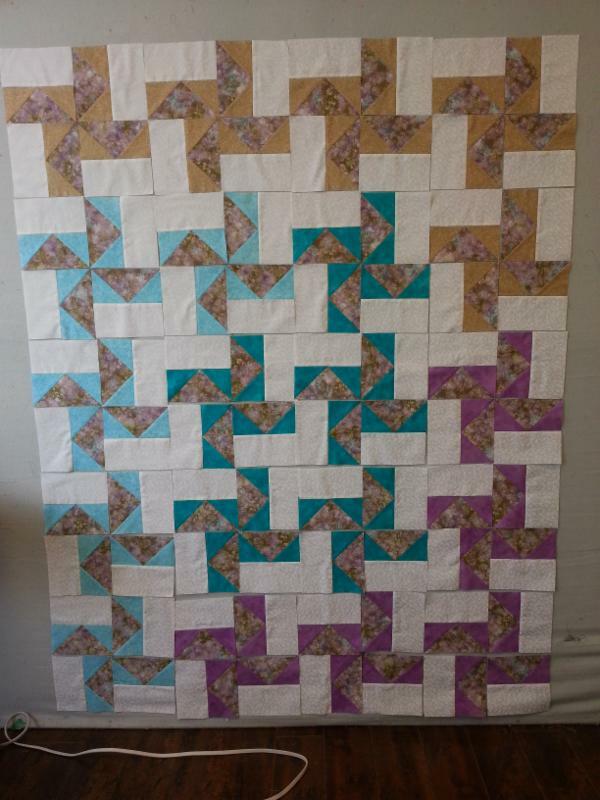 Roll n Pop Gems:Don’t you love when your seams lay flat and your block is crisp and square? Proper pressing techniques can help you achieve just that! 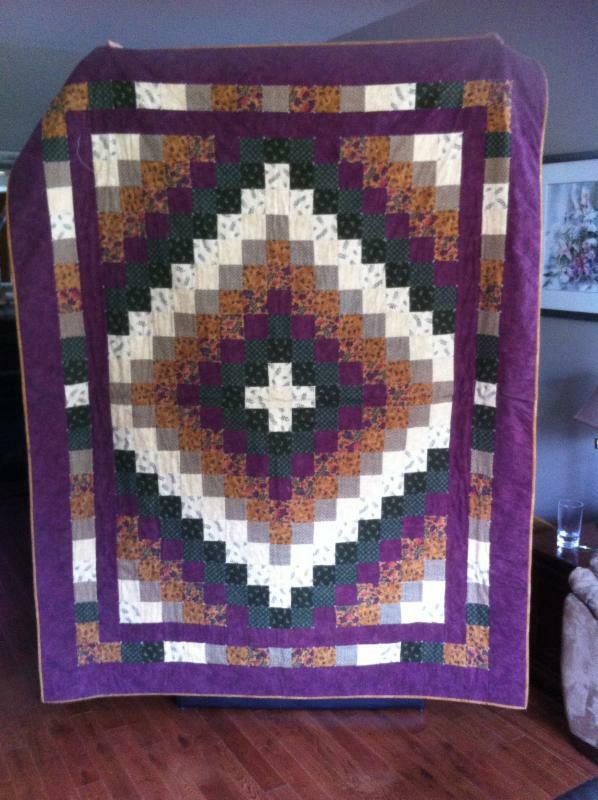 This quilt is 42″ x 60″ and made from 1 jellyroll. This quilt is a quick easy pattern to make but we are going to focus on proper pressing methods. This is a great project to practice pressing. Sunflower String Quilt: Using a couple of easy tricks you can make a scrappy quilt in no time at all. 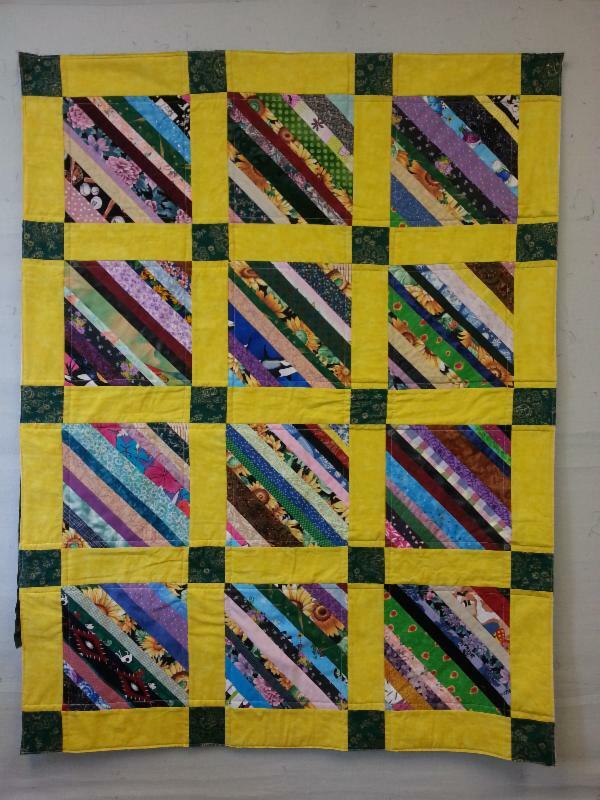 A great way to use up those scraps and make a bright, cheerful quilt that looks a little more planned than scrappy. Paper Pieced Mariner’s Compass: If you have ever wanted to learn paper piecing; here is an easy block that looks way more difficult than it is. You’ll find out all the tips and tricks for a successful method for perfect corners and pointy points. Brick Walk: In continuing on with our scrap workshops, we thought a brick walk would be a fun pattern to do. It can be done all scrap or alternating with a basic colour. It is a very easy pattern and goes together quickly. 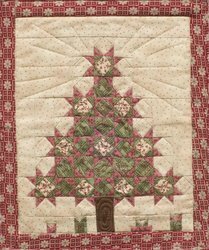 Quick Christmas Table Topper: Create this table topper for Christmas or any season depending upon your fabric choices. Machine applique techniques will be taught using either turned or raw edge for the centre the choice is yours. 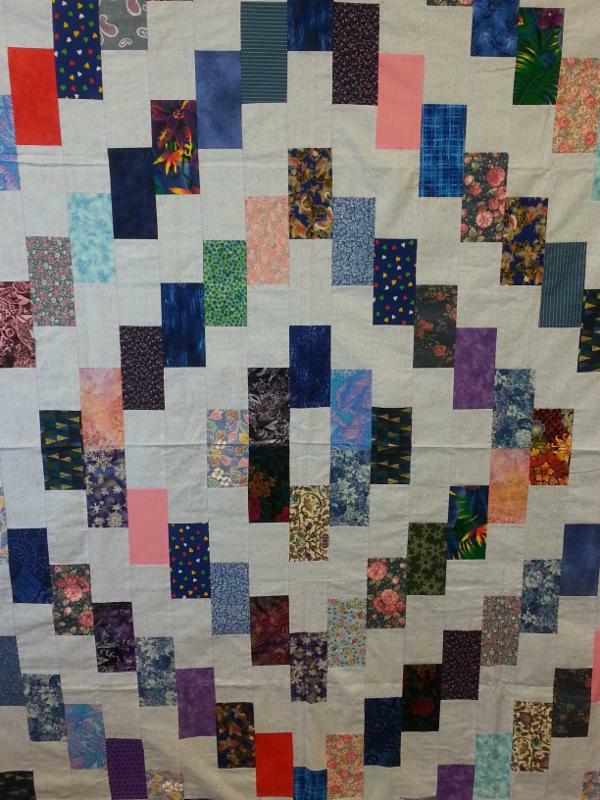 Basic quilting skills required and pattern included in the class cost. 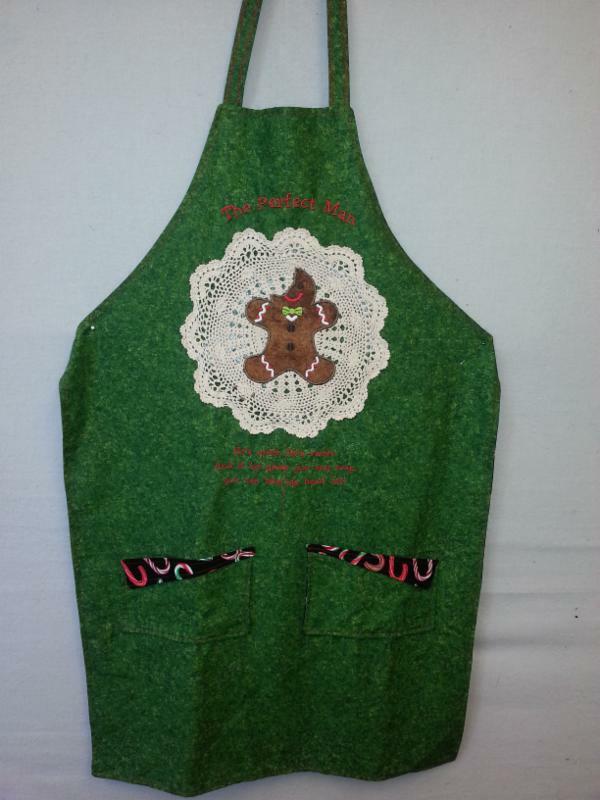 The Perfect Man: This gingerbread apron will be a huge hit at Christmas. You will learn how to appliqué the gingerbread man in your embroidery machine in the first class and then make the apron in the second class. A great Christmas Gift as you can also make the perfect Woman apron as well. 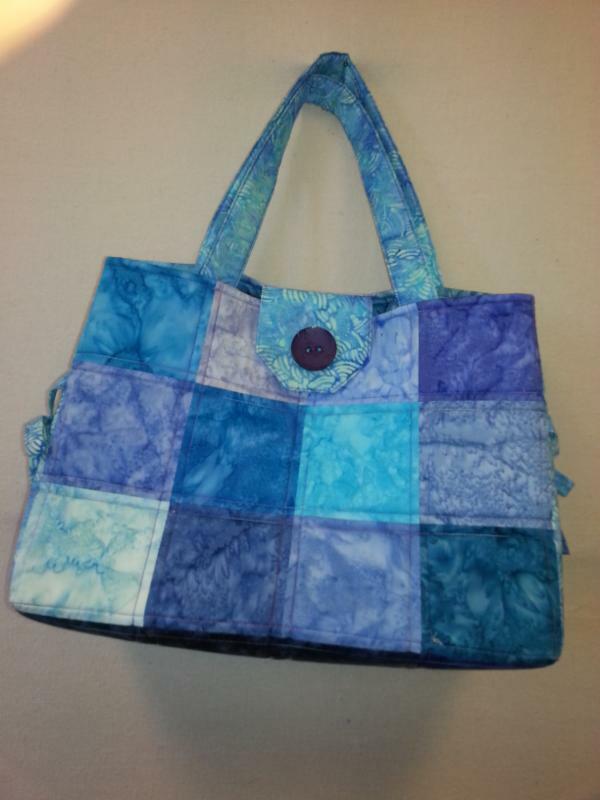 Perfect Purse: This cute purse is decorated using the flatlock stitch on a serger. Fun fabric and variegated thread make a wonderfurl textured look. 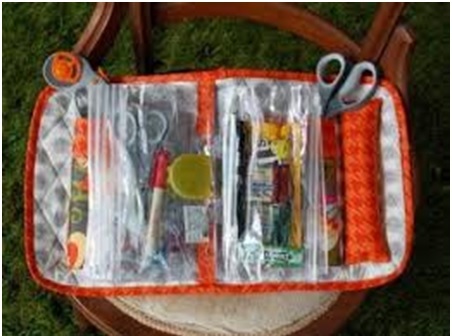 The purse is easy to construct too! 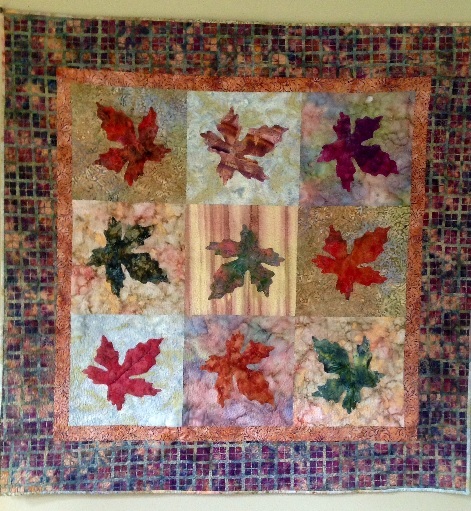 “Turning over a new leaf”: This is a great pattern that can easily be made into a quilt or beautiful piece of art for your wall that is fun to make. Batik fabrics compliment the leaf patterns, but any fabric choice would work. All the leafs are accented by using a quick and easy trapunto technique. 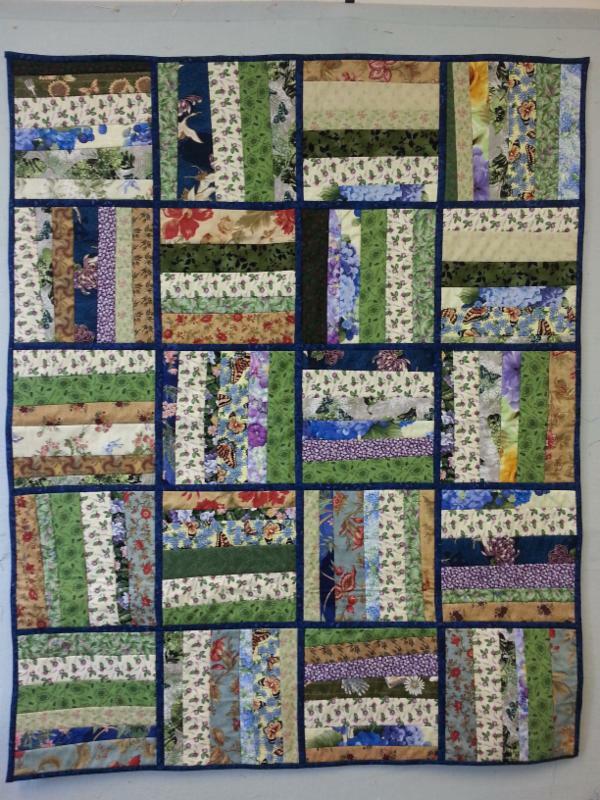 Beginner Alternating 4 Patch: In this project I will take you through quilt making and share my tricks for accuracy and easy quilting. 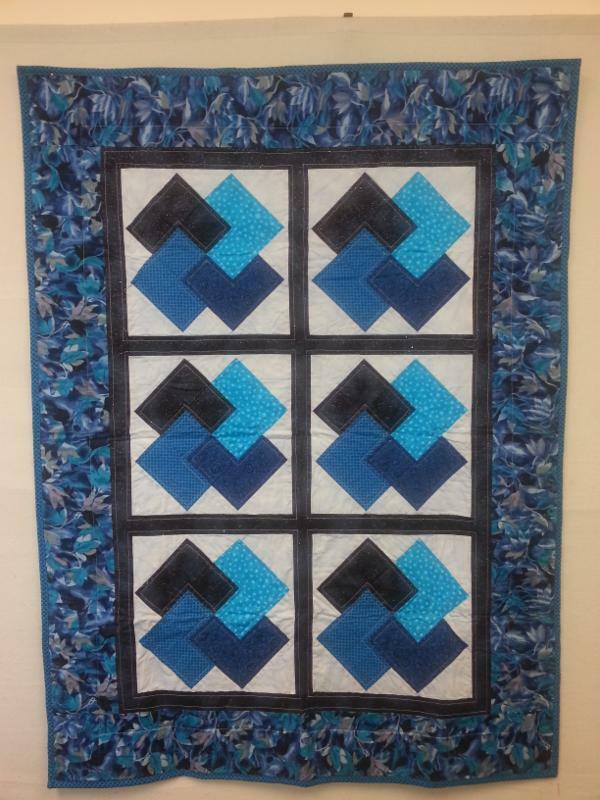 If you haven’t quilted before this is a great project to see what quilting is all about. You will learn rotary cutting, strip piecing, pressing, machine quilting and binding techniques. 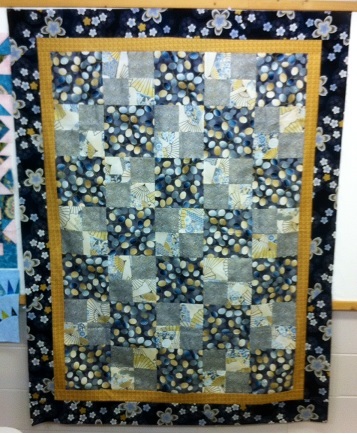 It’s also a great class for quilters who would like to improve their skills. Marble Pools: The Marble Pools quilt uses one simple block in two color ways. Blocks are composed of pool rims and pools. The color placement of rims creates an illusion of three dimensions. 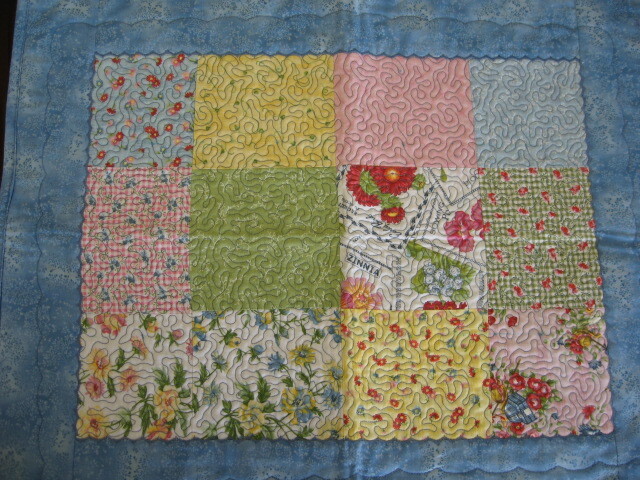 Come and learn how to stitch this block and how colour placement makes this block look 3D. Rock’n’Rail Fence: This takes the simple ‘rail fence’ and transforms it into a geometrical work of art. It is done with 2 monochromatic colors and can be done with fat quarters! Great way to use those blender fabrics you’ve been collecting. You will be astounded with the end result. Trip Around the World: This is an easy quilt and is fun to do. 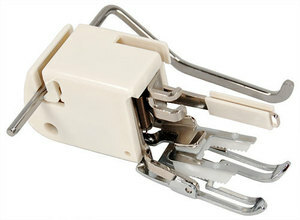 Right from planning your colors to finishing it by using the internal tie. 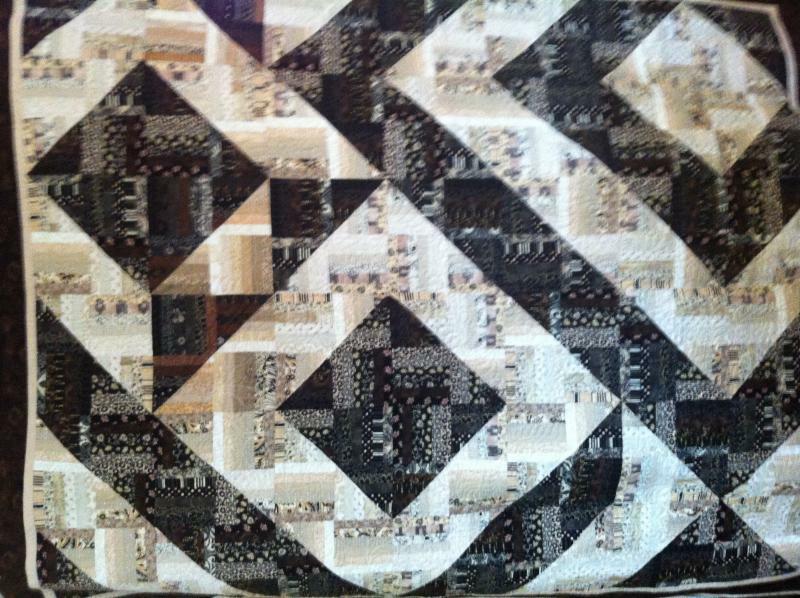 It is stripped pieced and a fast quilt. Join me as we make a “Trip Around the World” together! A Charming Bag :18″ W X 9″ D X 13″ H: This versatile bag is made with 5″ pre cut charm squares or squares that you have cut from your own stash fabrics. 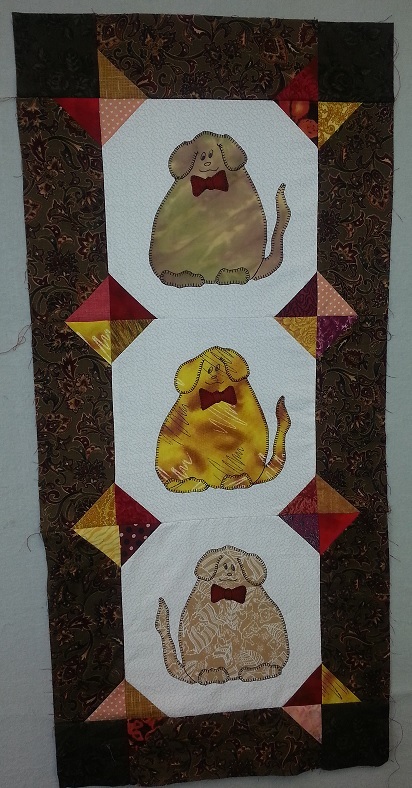 It can be made in various sizes but the large size will be taught in class and created over two sessions. Soft & Stable is used for the batting so the bag stands up quite nicely when completed. 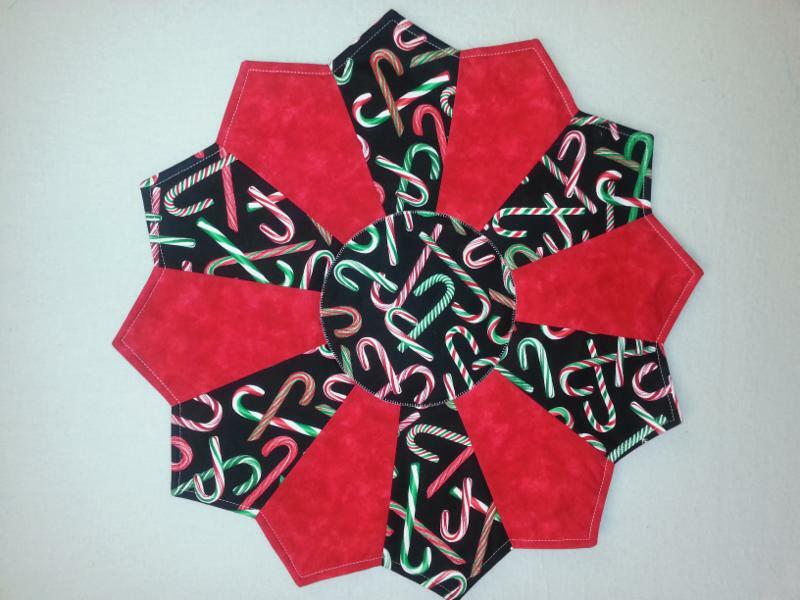 Twice as Nice Table Runner: Looking for something different for your Christmas Table this year. This could be it. Using festive fabric and some ribbon and your embroidery machine, make up these presents that button together to make a table runner, so cute. All Spruced Up: With the Square in a Square® way, this little tree is simple and picture perfect. It can be “All Spruced Up” before Christmas Eve. The size is an estimated 34˝x38˝. A great size to hang on your wall. 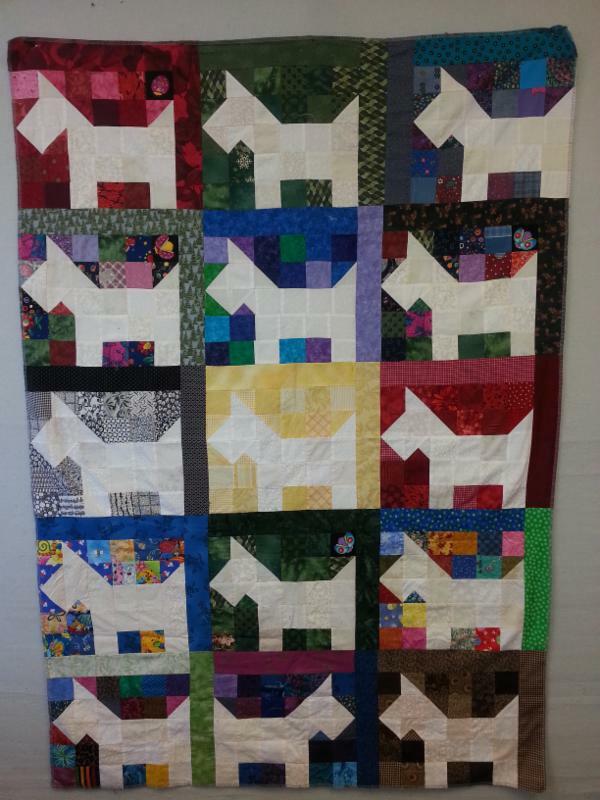 Beginner quilting experience and Square in a Square™ ruler (big or small) are required. 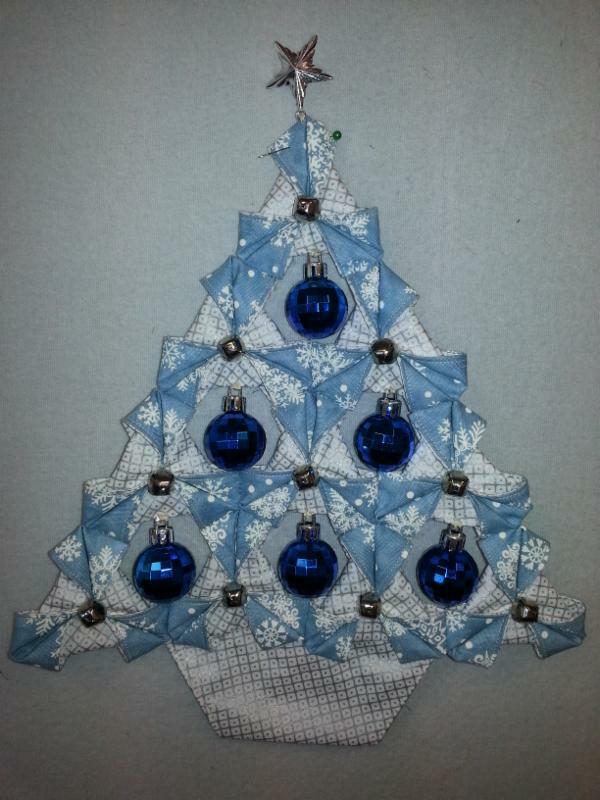 Christmas Tree: This little Christmas tree is made of folded triangles which are then put together by hand, and then you add the decorations of your choice. All you need is one light and one dark fabric, or two contrasting fabrics. They make a great change from a wreath at your door, or a small present. Your family could each use one! Walking Foot Quilting How do you know where to quilt? Choosing patterns and planning what to do can be easier than you think. Using your walking foot is the easiest way to finish quilting some of those tops we all have. We will discuss threads and tips and tricks. Bring a quilt already basted with pins, thread or spray baste, and we will make a plan for it and get it underway. 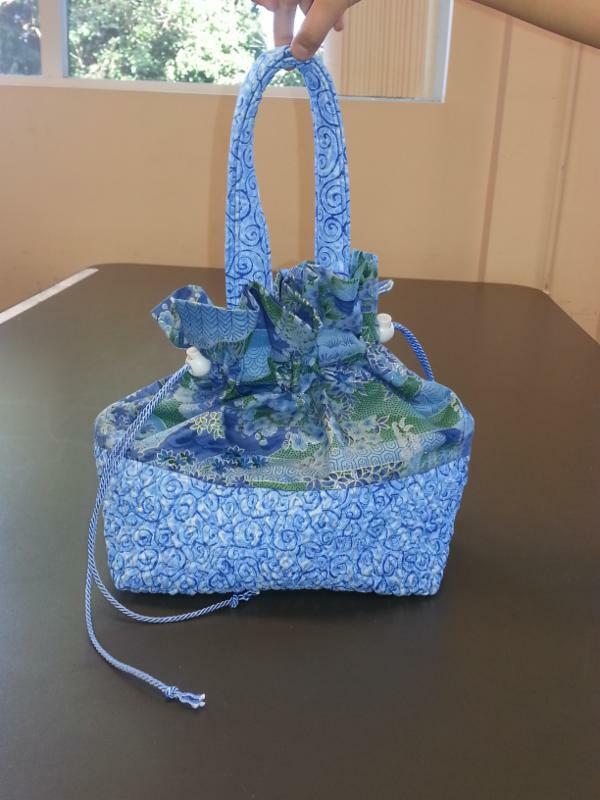 Funky Tote :Join us to create a funky tote bag for yourself or a quick gift for friends and family. 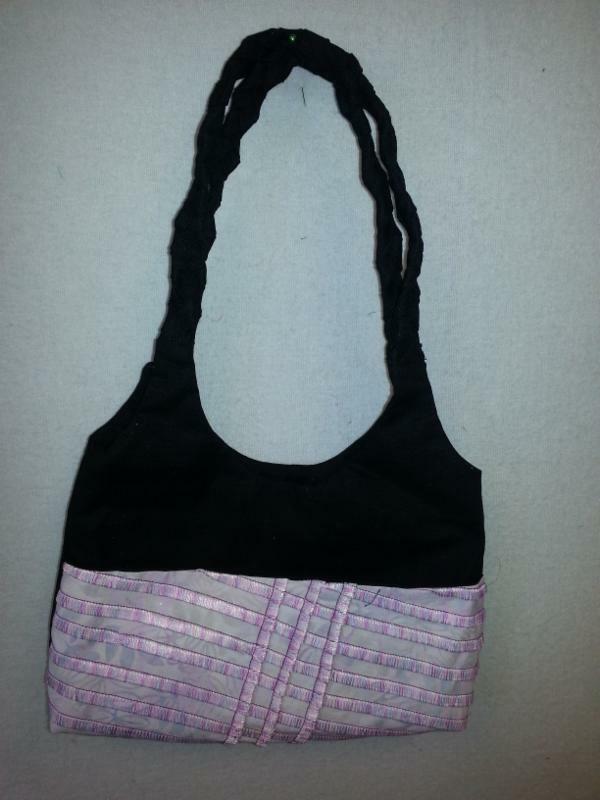 The fabric for the base of the bag is created using Texture Magic and the tote has a drawstring closure. Beginner Card Tricks: Are you just starting to quilt or need to brush up on your skills. 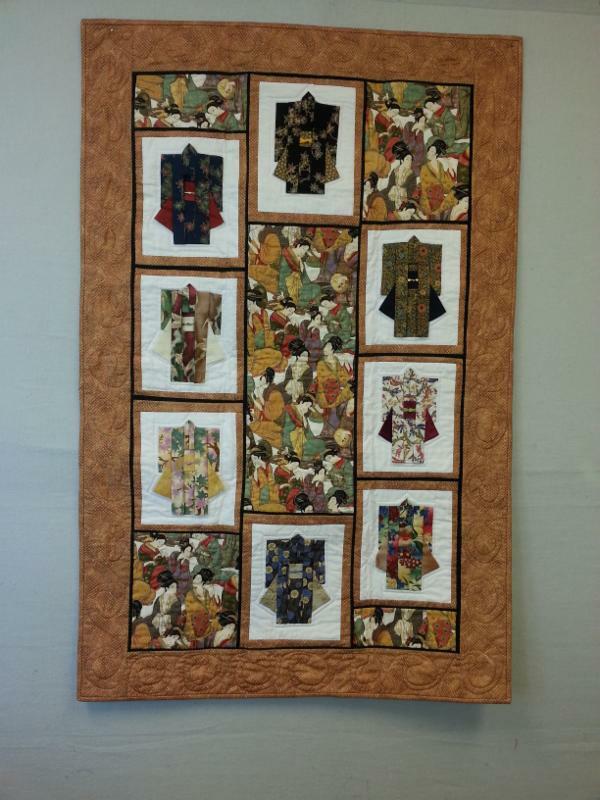 This seven week class will take you through choosing fabrics, rotary cutting, piecing blocks, joining blocks, adding borders, sandwiching and basting, basics of machine quilting and binding and labeling. This fun quilt looks much more complicated than it is and will teach you everything you need to know to move on to more advanced projects. 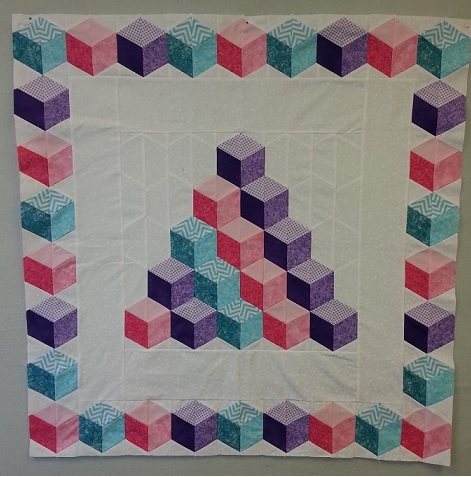 Baby Blocks :34′ X 35″: Have you ever wanted to make a quilt that had three dimensional blocks but didn’t want to do the dreaded ‘set-in’ seams? 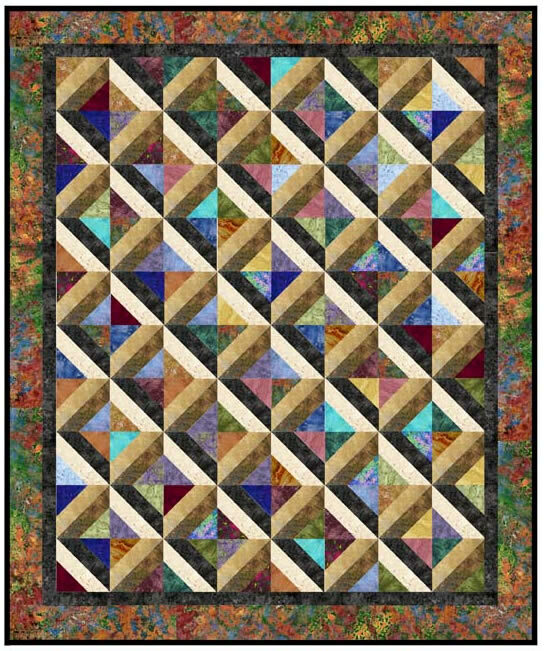 Join us to learn how to create a project using Marci Baker’s strip piecing technique. 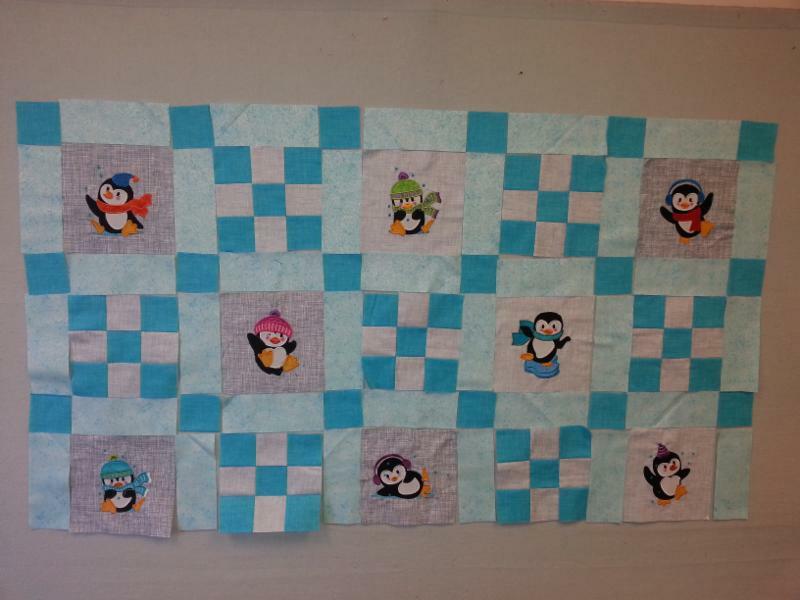 A baby quilt will be the class project but it is just the beginning of what can be created using this technique. Class will be divided into three sessions with pre class preparation required. 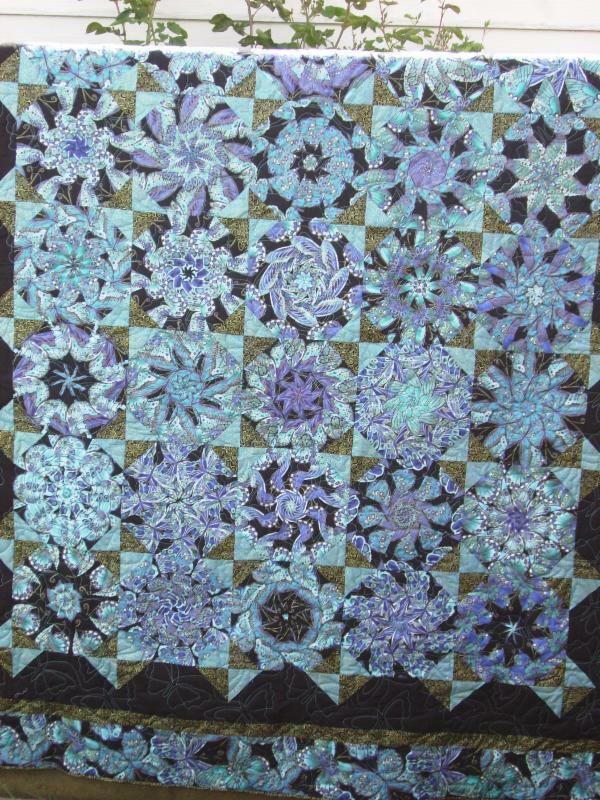 Sashing Stars: Marti Michel’s templates make this striking quilt easy and fun. Stars in the corners with long perfect points surround solid squares of focal fabric. This pattern will showcase that beautiful print you’ve been saving for a special project. Dopey Dogs Appliqué: Another original appliqué design from Cindy. It was suggested that maybe a dog design would make a nice change from the many cat patterns we see. They were so much fun to work on and I was very excited to get them into the class schedule. I’ve used the blanket stitch for the appliqué with jewel box joinings. These little guys just make me smile. Origami Kimono: Learn how to make this delightful little kimono, folded like Origami but made out of fabric. Make one or make many. One can hang on a chopstick on your wall, or make some of them into a quilt of your own design or the ones in the pattern. All your friends will want you to teach THEM how to do it! Love Letters: This pillow is part of a quilt called Love Letters by Lunch Box Quilts. These letters are made in your embroidery hoop and can be made into many different projects. 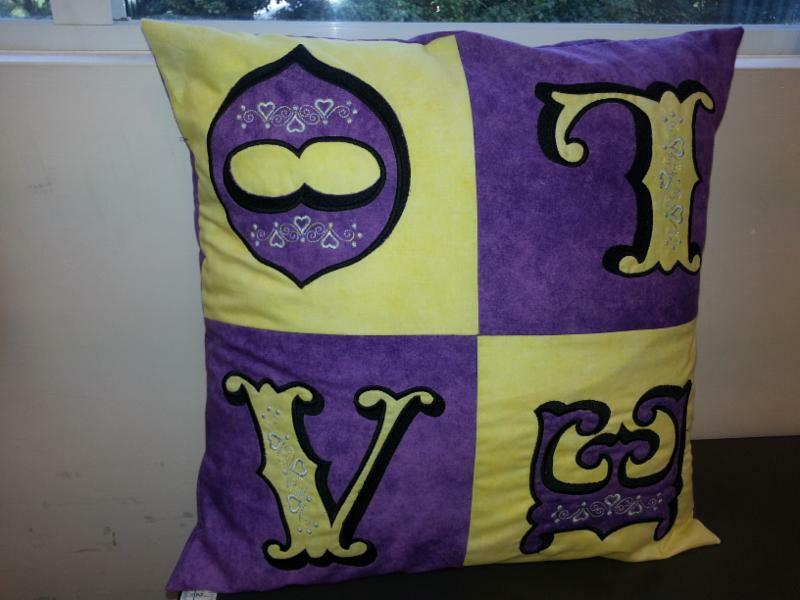 The pillow is quick and easy to make and something different to add to your décor. The Necessary Clutch Wallet: 8″ L X 4″ D X 1′ W: This wallet has room for cell phone, checks, cash, cards and still have room for your lipstick or personal items. It has a zipper pocket, card slots for credit cards and two long pockets for whatever you wish to carry with you and the ends are closed so everything is secure. A wrist or shoulder strap can be added if desired. Project will be completed over two sessions with pre class preparation required. Scrappy Hearts: a sweet wallhanging made in your choice of colours. Traditional piecing on the diagonal make these little cutie hearts easy to assemble. Windmill of Geese: Ever wanted to do a windmill quilt but have been afraid of all those little pieces on the bias? Fear Not, Square in a Square™ is here. 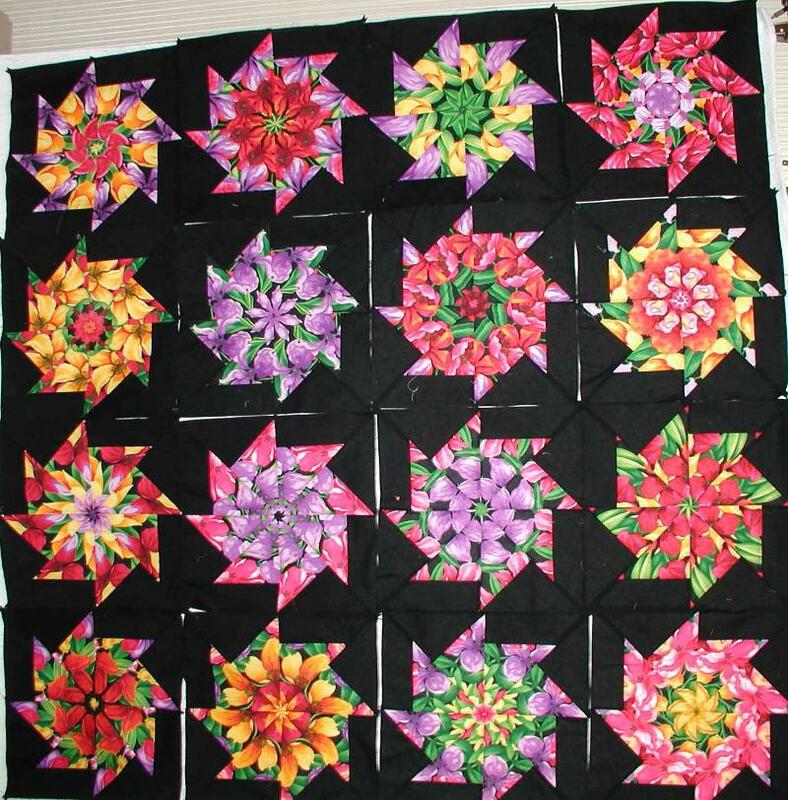 Make superfast windmill blocks with no bias to bias sewing. Square in a Square™ experience is not necessary to take this class. 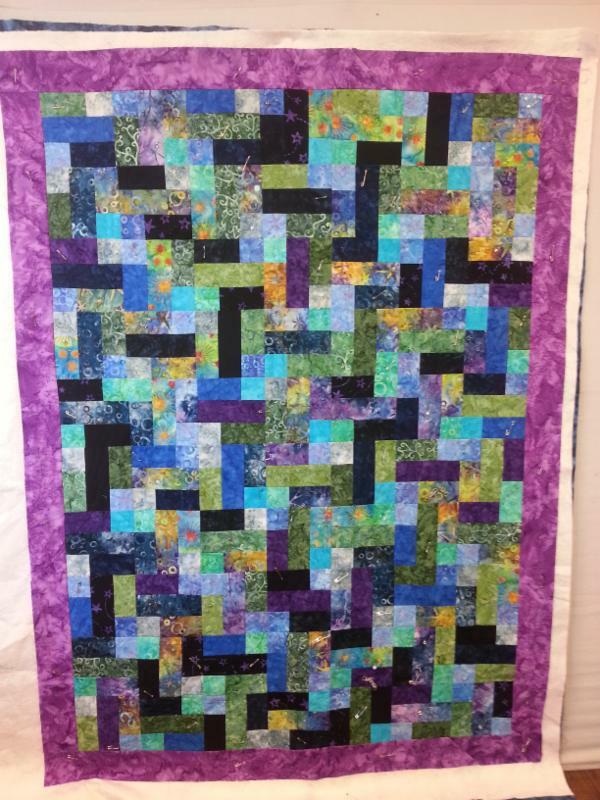 Beginner quilting experience and Square in a Square™ ruler (big or small) are required. Whimsical Snowman Runner :12″ X 55″: If you like snowmen you will want to make this whimsical runner to add to you runner collection. Machine applique techniques create this project as well as using your machine to attach the buttons. The runner will be created over two sessions with pre class preparation required. Christmas Stocking: If you have always wanted to make a Christmas stocking join us to make one using the new Modern Holiday Christmas Sewing Projects book by Amanda Murphy as a guide. More classes to follow in the next email. Too many for one list. This entry was posted in Classes and tagged A Charming Bag, All Spruced Up, Baby Blocks, Beatle Bag, Beauty Found, Beginner Alternating 4 Patch, Beginner Card Tricks, Brick Walk, Christmas Stocking, Christmas Tree, Classes, Dopey Dogs Applique, Folded Star Pillow, Funky Tote, Hallowe'en Hexagon, Hearts All Round, Hexagon Christmas Ornament Pillow, Love Letters, Marble Pools, Master Class 2, Origami Kimono, Paper Pieced Mariner's Compass, Penguin Antics, Perfect Purse, Purple Party, Quick and Easy Table Runner, Quick Christmas Table Topper, Rock 'n Rail Fence, Roll 'n Pop Gems, Sashing Stars, Scrappy Hearts, Stack 'n Whack, Stacked Tiles, Stippled Table Topper, Strip Teaser, Sunflower String Quilt, The Necessary Clutch Wallet, The Perfect Man, Trip Around the World, Turning Over a New Leaf, Twice as Nice Table Runner, Up-coming Classes, Walking Foot Quilting, Whimsical Snowman Runner, Windmill of Geese by admin. Bookmark the permalink.